Successfully Added AllCall Atom Smartphone - Quad Core CPU, 2GB RAM, Android 7.0 OS, 2 SIM 4G, 5.2 Inch 720P Display (Gold) to your Shopping Cart. Quad Core CPU, 2GB RAM and Android 7.0 brings a smooth user experience. Dual SIM 4G for better connectivity and super fast downloads. The 5.2-inch 720P display is great for viewing media and playing games. Dual Rear camera for better photos with more depth and clarity even in low light. This stylish smartphone is the AllCall Atom. With its 5.2 inch screen, the phone fits comfortably in the hand and offers 720p resolutions for your movie and gaming enjoyment. The phone has a quad-core CPU and 2GB of RAM, combine this with the Android 7.0 OS and you have a competent performance that can support your multitasking needs as well as offer a respectable gaming performance. There are 2 SIM card slots on this android phone, each with 4G, 3G, and 2G support. This will allow you to manage multiple numbers on the one device. ideal for organizing your work and personal contacts efficiently. You will also enjoy fast data access with the 4G connectivity which supports B1/B3/B7/B20 frequencies. With a 2100mAh battery, you can enjoy around 4 hours of continuous usage which should be sufficient for a full day of regular usage. 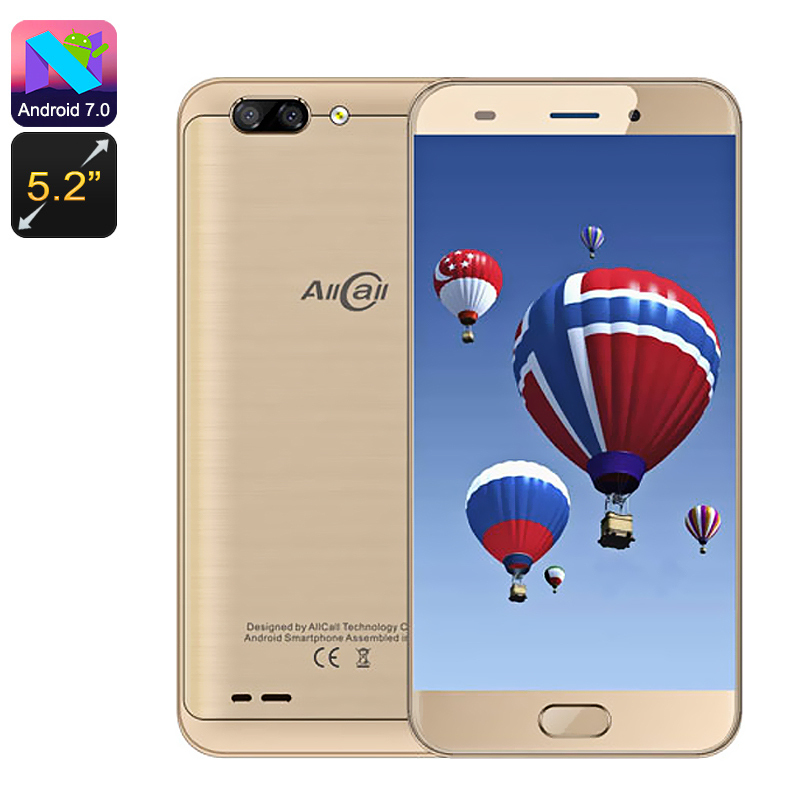 The AllCall Android phones come with 12 months warranty, brought to you by the leader in electronic devices as well as wholesale android phones..